No matter how advanced or evolved the technology can become, simplicity is always essential for a website to be appealing. Also consider lifespan: the simpler your website and its design, the lower the chances of its aesthetic and look becoming outdated. So, with so much technology available and many different options, just how do you hold yourself back and stick to the basics? What 20% of what’s on a page gives 80% of the value and content that people go there for? It could be the copy, some social proof (review snippets, testimonials, media badges), and a signup form or call-to-action button, for example. That’s the 20% right there. Look at the website like a visitor would. How would you navigate through the site and which pages are you likely to encounter if you follow the menu intuitively? Any pages that do not fall in with this flow could be removed or changed. Another way to eliminate unnecessary pages is to check out your Analytics and look at the pages that are not being used by your online audience. Those that are just taking up space should be changed or removed. Remember that the most effective sites load pages in the first one to two seconds and users see what has been placed above the fold most prominently. What is above the fold you ask? The “fold” is a term that goes back many years and was made popular by the newspaper industry. The idea is to keep the important content above the fold where the viewer can easily see content above the fold of the paper. As for your website design, this means to put your import content above the bottom of the browser window to where your viewer doesn’t have to scroll down the page to see what’s important. So it’s this section that you should try to optimize as far as possible. The other part of understanding this is that anything excessive will work against you when it comes to the five second rule. 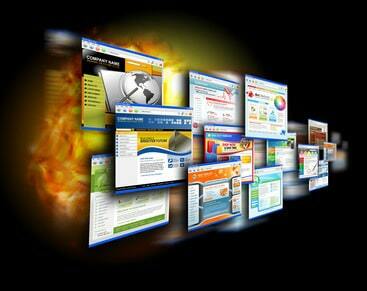 Flash, heavy images or even video could add bulk to your site load time and scare people away. So what does load quickly? Text or also referred to as content. Content loads faster than graphics, and it has the greatest potential to convert your online leads. Make sure your copy is quirky and compelling because it has the greatest chance of selling to your online prospects. Remember that the new way of digital marketing puts the customer in the driver’s seat, prioritizing the user’s experience. It’s not just about your brand anymore; it’s about what you can offer your prospects. Address your visitors’ needs and wants straight up and in the most direct way possible. Don’t ask for too much in forms or expect too much by way of sign ups. Do some market research to find out what web designs appeal to your personas and how you can optimize your resources to improve the experience for them.